Education, international development, media and communications, culture and heritage. 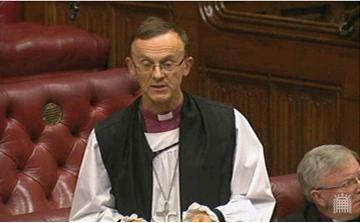 Entered House of Lords in 2012 as the Bishop of Worcester. Chair, Archbishop’s Examination in Theology. Mmember of the Council at Ridley Hall. Member of the World Development Movement and Amnesty International. Trust Protector of Common Purpose, an international organisation that helps people in leadership and decision-making positions in the private, public and voluntary sectors to be more effective in their own organisations, in the community and in society as a whole. Patron and President of a number of voluntary organisations including Worcestershire County Cricket Club. More information about the bishop and his ministry can be found on the Worcester Diocese website.